Saving the world has become a little more difficult in Pandemic: State of Emergency, an expansion for the Pandemic that offers three new challenges: The challenge of the hinterland, in which diseases spread from animals to humans. The challenge of emergency events, in which unpredictable events have a negative impact on gambling. The Superbug Challenge, in which a fifth disease that cannot be treated threatens the world! To fight this threat, it is first necessary to find a cure, using quarantines to stop the spread of the disease in the meantime, and then to produce doses of vaccine. You have to eradicate the super-bacteria to win. It's not for the feeble-minded! Be careful this game is an extension of Pandemic: 10th Anniversary Edition ... + 3 more+ 3 more and cannot be played alone. 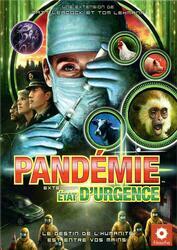 To be able to play it you must have a copy of the game Pandemic: 10th Anniversary Edition ... + 3 more+ 3 more.